The court denied defendant's motion to dismiss on the ground that plaintiff’s cancer immunotherapy patent encompassed unpatentable subject matter but found that the asserted claims were directed to a natural phenomenon. "[C]ontrary to [plaintiff's] contention, the [patent-in-suit] touches upon a natural phenomenon by using T cells to activate the immune system. The [patent] relies on the known scientific fact that blocking activation of the PD-1 pathway causes this effect in the body, which enables the patient's T cells to perform their normal biological activity of removing cancer cells. This interaction is a natural phenomenon." The court granted defendants' motion to dismiss because the asserted claims of plaintiff’s cash access patent encompassed unpatentable subject matter even though the PTAB denied defendants' petition for CBM review on the same ground. "[Two months ago], the PTAB entered an order denying Defendants’ request for CBM review because, in part, Defendants had failed to show 'that the claims are more likely than not patent-ineligible.' The PTAB concluded that Defendants had 'oversimplified the challenged claims' by characterizing them as being directed to 'providing money to an account holder or using trial-and-error until success is achieved.' In the context of Defendants’ Motion to Dismiss, the Court finds that Defendants have persuasively identified a distilled version of the claims at issue: 'offering an account-holder an alternative way to obtain cash or something of value — i.e., when the first transaction is denied, offering to perform a second type of transaction to achieve the same results.' Moreover, the Court finds that Claim 1 and the specification’s description of the invention support Defendants’ argument. After reviewing the parties’ briefs, the claims at issue, and the [patent] overall, the Court disagrees with the PTAB’s threshold analysis." The court ordered the parties to inform the court if they consented to a ban on Internet research of the jury pool and empaneled jury until trial was over or indicated it would order counsel to disclose to the jury panel the extent of research the trial teams planned to conduct. "[I]n this case there are good reasons to restrict, if not forbid, such searches by counsel, their jury consultants, investigators, and clients. The first reason is anchored in the danger that upon learning of counsel’s own searches directed at them, our jurors would stray from the Court’s admonition to refrain from conducting Internet searches on the lawyers and the case. . . . Given the massive volume of Internet commentary on the lawyers and the case, this presents a significant risk. A second danger posed by allowing counsel to conduct research about the venire and the jury is that it will facilitate improper personal appeals to particular jurors via jury arguments and witness examinations patterned after preferences of jurors found through such Internet searches. . . . A third reason is to protect the privacy of the venire. They are not celebrities or public figures. The jury is not a fantasy team composed by consultants, but good citizens commuting from all over our district, willing to serve our country, and willing to bear the burden of deciding a commercial dispute the parties themselves cannot resolve. Their privacy matters. . . . Still, the Court respects the excellent trial lawyers in this case and their burden in this trial and is reluctant to order them. Rather, the Court calls upon them to voluntarily consent to a ban against Internet research on the venire or our jury until the trial is over. . . . If all counsel so agree, counsel will be given an enlargement of time to conduct extra voir dire themselves. . . . In the absence of complete agreement on a ban, the following procedure will be used. At the outset of jury selection, each side shall inform the venire of the specific extent to which it (including jury consultants, clients, and other agents) will use Internet searches to investigate and to monitor jurors, including specifically searches on Facebook, LinkedIn, Twitter, and so on, including the extent to which they will log onto their own social media accounts to conduct searches and the extent to which they will perform ongoing searches while the trial is underway." The court denied defendant's motion to dismiss on the ground that plaintiff’s patent directed to collecting user data from a network encompassed unpatentable subject matter because the asserted claims were not directed to an abstract idea. "Defendant attempts to summarize the claims of the patent as 'the abstract concept of allowing a customer or potential customer to customize a 'character' by selecting 'character attributes' and then to keep a 'tally' of character/attributes that have been selected.' Defendant then analogizes this concept to a 'human' counterpart, namely participating in a mall focus group. . . . Such a characterization does not embody the Internet centric concept of the claims. . . . The human analogy is not representative of the claims as a whole, which describe more than the pre-Internet business concept of 'tallying' choices applied in a computer setting. Instead, the claims are more like those in [DDR Holdings, LLC v. Hotels.Com, L.P., 773 F.3d 1245 (Fed. Cir. 2014)], to wit, 'necessarily rooted in computer technology in order to overcome a problem specifically arising in the realm of computer networks.'" Docket Navigator CEO Darryl Towell will be speaking at the USPTO Post-Grant Patent Trials 2016, co-chaired by Scott McKeown (Oblon) and Robert Greene Sterne (Sterne, Kessler) in San Francisco on March 31, 2016. The program will begin with an update on USPTO post-grant practice, rule changes, and best practices by Hon. Nathan K. Kelley, Acting Chief Administrative Patent Judge. Other segments will focus on the role of post-grant USPTO proceedings as a component of a litigation strategy, including pre-trial and post-trial options. New for 2016 are notable rule changes to PTAB practice, increasing feedback from the CAFC, and emerging trends driven by the expanding PTAB workflow. The court denied defendants' motion for summary judgment that plaintiff's vehicle radar patent was invalid for lack of patentable subject matter because the asserted claims were not directed toward the abstract idea of a mathematical algorithm. "The [patent] claims do not recite a mathematical algorithm. They are only an 'algorithm' in the broadest sense of the term. The relevant claim steps are not mathematical in nature; they describe concrete steps to be performed. . . . Nor are the [patent] claims 'a procedure for solving a given type of mathematical problem.' The [patent] claims solve at least two blind-spot-system-specific practical problems arising from the use of radars. . . . It explains how to determine relevant variables and describes more than just a mathematical formula. The [patent] explains how variables are selected in detail." The court denied defendant's motion for judgment on the pleadings on the ground that plaintiff’s image scanning patent encompassed unpatentable subject matter because the asserted claims were not directed toward an abstract idea. "The asserted claims include steps for determining the parameters (which meet a certain mathematical formula) and applying such parameters to operate a scanner. The court concludes that such claims do not claim the mathematical formula nor do they seek to simply 'implement' such a formula, therefore, the claims are not directed to an abstract idea." The court denied defendants' motion to dismiss on the ground that plaintiff’s network congestion control patent encompassed unpatentable subject matter because the asserted claims were not directed toward an abstract idea. "Defendants analogize the claims at bar to resource management performed by a human such as a TSA worker at an airport checkpoint or a factory line supervisor of widgets down a production assembly line. . . . [C]laims 1 and 6 are directed to 'alleviating congestion in a communication network' and recite steps used to perform the method for a flow of data to and from end user devices connected to a network through communication devices. That defendants are able to come up with a human equivalent of 'resource control management' does not render the claims at bar similar to methods that 'merely recite the performance of some business practice known from the pre-Internet world along with the requirement to perform it on the Internet.' Instead, the claims at bar are . . . 'necessarily rooted in computer technology in order to overcome a problem specifically arising in the realm of computer networks.'" The court denied defendant's motion to dismiss on the ground that plaintiff’s translingual internet search and advertising patents encompassed unpatentable subject matter because the asserted claims were not directed toward an abstract idea. "Defendant analogizes the method of the [patent-in-suit] to a set of tasks performed by a human, concluding that the [patent] is directed to the abstract idea of searching for documents in a foreign language by translating a modified search request. . . . That a method involving a computer and the internet may be broken down into a series of steps performed by a human does not resolve whether such method is an 'abstract idea.'. . . The methods at bar do not perform a business method known from the pre-Internet world on the computer, instead, the methods contain an additional layer of complexity. The methods of [one patent-in-suit] 'address the problem of ensuring that Internet search engines retrieve not only Web pages and documents written in the query language (source), but in foreign (target) languages as well.' The methods of the [other] patent perform translingual searches and use them to display cross-language advertising to the user of the search engine.'" In a final written decision, the Board found claims of an electronic content distribution patent unpatentable under 35 U.S.C. § 101. "The ’464 patent describes that electronic publications were commonly replicated in computer-readable form on magnetic or optical storage diskettes and distributed to retails stores or by direct mail sales. Thus, the concept of distributing electronic information products (content) was known prior to the ’464 patent. Further, we agree with Petitioner that distribution of publications (versus electronic publications), has long been known. . . . . [W]e determine that the claims are directed to the abstract concept of distributing electronic content, or more specifically, to selecting, transporting, storing, and displaying electronic content." The court granted defendant's motion for summary judgment that plaintiff's headlamp salvage patent was invalid as obvious and rejected the argument that 35 U.S.C. § 315(e)(2) estopped defendant from asserting certain prior art. "[T]he datasheet can be used in civil litigation only if it could not have been found by a skilled searcher performing a diligent search. . . . In arguing that it performed an adequate search, [defendant], at least initially, takes on an unnecessary burden. It is the proponent of an estoppel argument that bears the burden. . . . One way to show what a skilled search would have found would be (1) to identify the search string and search source that would identify the allegedly unavailable prior art and (2) present evidence, likely expert testimony, why such a criterion would be part of a skilled searcher’s diligent search. . . . [Plaintiff], in fact, has performed step one with respect to two other pieces of prior art that [defendant] argues invalidates the asserted claims. It has not, however, done so with respect to [the datasheet]. As such, [plaintiff] is left arguing that a skilled searcher’s diligent search would have found cumulative pieces of prior art . . . [M]erely being cumulative of other prior art does not invoke § 315(e)(2) estoppel." The court denied defendant's motion to dismiss on the ground that plaintiff’s breast prosthesis patent encompassed unpatentable subject matter because the asserted claims were not directed toward an abstract idea. "While the process claimed in the [patent-in-suit] does employ software to process images and perform 3D modeling, the underlying concept involves substantial tangible components. The patent claims imaging of the breast to the ultimate end of creating a breast prosthetic, using alignment markers placed on the breast and captured in the image to aid in the computer modeling. In determining whether an invention encompasses an abstract idea, courts caution against an approach that focuses only on physical or tangible results of an invention because it 'inappropriately focuses on the result of the claimed invention rather than the invention itself.' Even taking this cautionary note into consideration, the [patent] still falls outside of the abstract ideas in the precedent because the concept of the invention involves substantially more than mere data collection and storage and does not threaten to preempt the use of scanners and computer modeling in other fields. . . . Therefore, the [patent-in-suit] is not directed to an abstract idea and does not need to be examined under the second step of the Alice framework." The court granted defendants' motion for judgment as a matter of law that they did not willfully infringe plaintiffs' antigen patents because one of their invalidity defenses was not objectively baseless. "[P]laintiffs have not carried their burden of showing - by clear and convincing evidence - that all of the invalidity defenses asserted by defendants were objectively baseless. Setting aside the obviousness and enablement defenses, I find that defendants' written description defense was not objectively baseless. . . . The evidence plaintiffs would like to present to the jury, including that of conflicting positions taken by defendants before the PTO, goes to defendants' subjective intent and, therefore, has no role to play in evaluating the objective prong of the [In re Seagate Tech., LLC, 497 F.3d 1360 (Fed. Cir. 2007)] inquiry. Therefore, the issue of willfulness will not be heard by the jury." The court denied plaintiff's motion to reopen the case and conduct a new trial on infringement under the doctrine of equivalents after the Federal Circuit reversed the Court’s construction of the term "virtual machine" and entered judgment of noninfringement. "[Plaintiff] states that it did not argue Defendants infringed the Patents-in-Suit under the doctrine of equivalents at trial, and, therefore, [plaintiff] contends the 'issue was never before the appellate court' and was not part of the appellate court’s judgment of non-infringement. . . . The Federal Circuit, on appeal, entered 'judgment of no infringement as a matter of law' because by 'failing to respond to [Defendant’s] argument in the briefing, [plaintiff] effectively conceded that the accused devices' run applications in a manner that does not meet the 'virtual machine' element of the claims. The mandate enters 'judgment of no infringement as a matter of law,' and the Court, under no circumstance, can order a new trial in which a jury may reach a verdict that is contrary to law." The magistrate judge recommended denying defendants' motion to dismiss plaintiffs' second amended complaint on the ground that the original plaintiff's wholly-owned subsidiary lacked standing. "Defendants contend that [the subsidiary] is not a licensee at all — exclusive or otherwise — whereas [plaintiff] maintains that [its subsidiary] holds an implied exclusive license to practice the patents in certain retail channels. . . . [I]t is not incumbent upon [plaintiff] to produce a written license in order to join [its subsidiary]. . . . [The subsidiary] must only show that it received the right to practice [plaintiff‘s] patents in a particular area and [plaintiff‘s] express or implied promise that others would be excluded from practicing the patents in that area. . . . Defendants cite no authority to support their argument that an exclusive license — and specifically, one between related companies — must contain particular financial terms. Rather, all that is required is [plaintiff‘s] express or implied promise that [the subsidiary] would be permitted to use the invention in a defined market to the exclusion of others." The court denied without prejudice defendant's motion to dismiss on the ground that plaintiff’s electronic component placement system patent encompassed unpatentable subject matter because claim construction had not yet occurred. "'Courts . . . have denied motions to dismiss where the factual record is not yet sufficiently developed, such that the general character of a patent and its limitations are unclear.' . . . 'In this case, the parties dispute the basic character of the claimed subject matter.' Consequently, even construing the claims in Plaintiff’s favor, as the Court must at this stage, the Court is unable to identify the purpose of the [patent-in-suit], a necessary step in determining whether the [patent’s] claims are directed toward an abstract idea. Perhaps because the Supreme Court has declined 'to delimit the precise contours of the "abstract ideas" category,' the Court simply does not yet 'know it when [it] see[s] it.' Accordingly, the Court treads lightly, particularly given the Supreme Court’s admonition that the 'exclusionary principle' of patent-ineligible subject matter must be construed carefully 'lest it swallow all of patent law.'" Following an evidentiary hearing, the ALJ found that two asserted network communications patents were not invalid for lack of patentable subject matter because the claims were not directed to an abstract idea and they contained an inventive concept. "The Private VLAN Patents are not directed to an abstract idea, but rather to a specific device, namely a switch or a router, configured in a specific way to have new types of ports and new types of VLANs in order to isolate users' traffic. The claims all recite a switch or router comprising a VLAN, which is a definite structure. . . . Far from being the types of claims that present issues under Section 101, the Private VLAN Patents do not claim an algorithm or computerize an approach that was implemented manually in the prior art, but rather claim a new, specific and useful device to solve a problem that existed in the networking field in the prior art. . . . [T]he Private VLAN Patents solved the problem in the prior art of separating users' traffic on a LAN. . . . All the asserted claims, therefore, require special purpose devices, and not routine or conventional structures, such as switches and routers with specific defined structures that implement the new types of ports and new types of VLANs, and which transform the networking device into a special purpose machine that can enforce the private VLAN mechanism." The court granted defendant's motion to dismiss because the asserted claims of plaintiff’s computer navigation patent encompassed unpatentable subject matter and found that the claims were directed toward an abstract idea. "[M]aps of cities have long existed that depict structures and include identifying marks that direct a user to information about those structures. . . . The Plaintiff makes much out of the fact that their invention is a 'non-text based system' that does not require, for example, the numbers used on [defendant's demonstrative] map to provide a user with information about a particular store. The Court finds this fact inapposite. . . . The Court also finds the use of multiple layers of maps that enables users to zoom into and out of a geographic area is an unpatentable abstract idea. . . . The Court does not agree that the [patent-in-suit] addresses a challenge particular to computers or the Internet. Rather, the [patent] addresses a problem 'known from the pre-Internet world': navigating through maps and locating information about structures appearing on those maps." The court denied defendants' motion for early claim construction and summary judgment proceedings regarding their defense of lack of patentable subject matter. "While the Court previously raised the possibility of seeking early claim construction in its Report & Recommendation, the Court finds that the claim construction issue raised by the parties in the letter briefs does not present a clearly dispositive issue that warrants special scheduling under the Court’s Docket Control Order. Indeed, in asking the Court to construe the term 'data' in an early proceeding, Defendants’ contend that the patents-in-suit broadly discuss all types of data 'some easily recognizable to humans and some not.' Thus, even accepting Defendants’ position, an early claim construction proceeding would not necessarily result in a clear finding that the patents are directed towards patent-ineligible subject matter in this case." Docket Navigator CEO Darryl Towell will be speaking at the USPTO Post-Grant Patent Trials 2016, co-chaired by Scott McKeown (Oblon) and Robert Greene Sterne (Sterne, Kessler) in New York, NY on March 14, 2016. The program will begin with an update on USPTO post-grant practice, rule changes, and best practices by Hon. Grace Karaffa Obermann, Lead Administrative Patent Judge. Other segments will focus on the role of post-grant USPTO proceedings as a component of a litigation strategy, including pre-trial and post-trial options. New for 2016 are notable rule changes to PTAB practice, increasing feedback from the CAFC, and emerging trends driven by the expanding PTAB workflow. Perspectives of the judiciary are presented by PTAB and District Court Judges, including case studies of well-known disputes. The court denied without prejudice defendant's motion to dismiss on the ground the asserted patent claimed unpatentable subject matter because the motion was premature. "The parties do not appear to agree on how certain key terms contained in the Patents In Issue should be construed, and thus the Court cannot address at this juncture whether 'every possible plausible construction of each of the . . . claims asserted . . . render the patent ineligible'. . . . Furthermore, a dispute concerning the area of technology addressed in the Patents In Issue is not conducive to a resolution on a motion to dismiss at the initial stages of litigation. . . . The [PTAB], in addressing similar technology in a petition for inter partes review of certain patents, engaged in extensive claim construction and analysis before addressing whether the patent claims at issue were not patentable. That PTAB decision is now the subject of an appeal before the United States Court of Appeals for the Federal Circuit. This Court would be well-advised to follow the PTAB’s expert lead by refraining from addressing this dispute without the benefit of further analysis." The court granted defendants' motion to compel plaintiffs to provide further claim construction briefing in a case involving drug patents. Plaintiffs' proposed construction for each term was "plain meaning" and plaintiffs refused to comment on whether defendants' proposed constructions were within the plain meaning of the terms. "Plaintiffs have countered Defendants’ proposed construction of each of the disputed claim terms with the simple offer, 'plain meaning.' Doing so, without a statement of what Plaintiffs contend the 'plain meaning' to be and without acknowledging whether Defendants’ proposed construction is within the scope of Plaintiffs’ 'plain meaning' is unhelpful to the process and has the potential to unnecessarily burden the Court’s construction efforts. . . . [R]equiring Plaintiffs to either agree that Defendants’ proposed construction is within its so called 'plain meaning' imposes virtually no burden on Plaintiffs. . . . Nothing in this Order is intended to preclude Plaintiffs from advancing the argument in its Markman brief that the 'plain meaning' of any term should control and that, consequently, no construction of that term is necessary. However, to assist the District Judge in resolving claim construction issues, Plaintiff shall be required to specify what it contends the plain meaning to be." Following a bench trial, the court found that plaintiffs' post-AIA chemotherapy drug patents were not invalid under the on-sale bar because plaintiffs' invention was not available to the public. "[Plaintiffs] and [their licensee] entered into a Supply and Purchase Agreement for the sale of [plaintiff's] commercial [drug] product. . . . It is inapposite that at the time of the agreement, the product was uncertain and awaiting FDA approval, because the appendices to [the license and supply agreements] specified the exact dosages and concentrations that were in the pending FDA filings. Indeed, under a pre-AIA analysis, the Court’s analysis would end here with a conclusion that the . . . Agreement constituted a contract for sale, thus satisfying the 'sale' prong of the on-sale bar. However, the post-AIA on-sale bar also requires that the sale or offer for sale make the claimed invention available to the public. [Defendant] asserts that the Form 8-K and [plaintiffs'] press releases made the existence of the agreement available to the public. However, [plaintiffs' licensee's] Form 8-K was redacted and indicated only that [plaintiffs] and [their licensee] had entered into an agreement to purchase [plaintiffs'] product. . . . [Defendant] has failed to show how [the licensee's] Form 8-K or [plaintiffs'] press releases on the [license] Agreement made [plaintiffs'] claimed invention, i.e., its palonosetron formulation, available to the public." 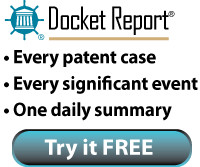 The court denied defendant's motion to strike the testimony and reports of plaintiff's reverse engineering expert that were based on previously undisclosed EEL and EDS scans, but ordered a mistrial on two patents-in-suit to allow time for curative expert discovery at plaintiff's expense. "At trial, [the expert's] testimony was inconsistent about whether he relied upon the undisclosed scans. . . . The Court finds that [the expert] did rely upon images that were not disclosed with his expert report. . . . It is equally clear that [the expert] did not explain to [plaintiff's] counsel that, in following his usual practice, he had not disclosed all the materials upon which he had relied. . . . Although the nondisclosure was not known by [plaintiff] or its counsel, it is nonetheless the responsibility of counsel to make clear to their experts the scope of applicable disclosure obligations. . . . No sanction less severe than mistrial would give [defendant] what it needs to level the playing field: time. . . . [L]imiting the cost-shifting to the reasonable expenses associated with supplemental expert discovery, rather than to fees and costs related to general preparation for either the first or the second trial, is a relatively limited sanction that takes into account [plaintiff's] good faith." The court ordered the parties to show cause why it should not ban them from accessing user accounts or conducting Internet searches of potential or actual jurors prior to a verdict. "[I]t appears to the Court that both sides intend to email or text the names and places of residences of venire members as soon as they are called forward to waiting squads of Internet investigators, who will feed results to counsel table via reverse text or email. . . . [T]he Court is considering imposing on both sides a ban on any and all Internet research on the jury prior to verdict. . . . [P]lease show cause why such a ban should not or may not be imposed. . . . [B]oth sides shall state the detailed specifics of how far the parties and/or law firms and/or their investigators may go under the law and/or the rules of professional conduct in accessing Facebook, LinkedIn, Twitter, and other social media accounts — as well as Google accounts — to gather information on prospective or actual jurors, including (without limitation) the full extent to which they may use investigators/lawyers with more detailed levels of privacy access than the general public. This should include as well analysis of the extent to which ether side is allowed to review Google, Yahoo!, and/or other Internet searches conducted by prospective or actual jury members in order, for example, to analyze their politics, job searches, shopping habits, evening life, and/or personal interests." The court granted defendant's motion for judgment on the pleadings that the asserted claims of plaintiff’s email system patent encompassed unpatentable subject matter and rejected plaintiff's argument that the claims were not directed toward an abstract idea based on TQP Dev., LLC v. Intuit Inc. (E.D. Tex. Feb. 19, 2014). "[Defendant] contends the [patent-in-suit] is nothing more than a computerized version of the ages old concept of an address directory. . . . [T]he TQP decision does not stand for the proposition that any improvement in computer communication is inherently patent eligible. Rather, the court found patent eligibility because the patent 'involves a method for changing data in a way that will affect the communication system itself, by making it more secure.'. . . [T]he [patent-in-suit] involves a method of doing business (i.e. the idea of using information in a message's destination address to look up the recipient's correct address), but does not involve any data modification in a way that will affect the communication system itself. The limitation of 'email address' as 'a string of characters complying with an addressing format for transmission of an email message by the SMTP protocol' does not effect the first step of the [Alice Corp. v. CLS Bank Int'l, 134 S. Ct. 2347 (2014)] analysis because a field of use limitation does not make an idea non-abstract. The Court is well aware that in many cases it is difficult to distinguish between an abstract idea and its application. . . . [T]he [patent-in-suit] is most accurately characterized as directed to the abstract idea of an address directory." The court denied defendant's motion to disqualify plaintiff's counsel and rejected defendant's argument that defendant was a current client. "Although there is no allegation that [counsel] performed any legal work for [defendant] for at least a year before this suit was filed, [defendant's] in-house counsel . . . stated in her declaration that '[e]ven after [an unrelated] action had settled, I considered [counsel] to be [defendant's] intellectual property counsel.' However, the only evidence that [defendant] points to as support for [in-house counsel's] belief is that she continued to receive marketing emails from [plaintiff's counsel], such as announcements of webinars. By itself, the receipt of such marketing materials does not establish the existence of an ongoing attorney-client relationship, but merely indicates that [counsel] was interested in keeping its name before [defendant] in the event that [it] needed representation on another matter."